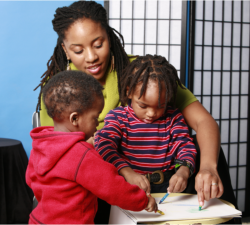 At Pasadena Child Care and Homework Center, helping your child achieves optimal growth is what we always aim for. Our infant/toddler program prepares your child to develop his/her learning interests as well as help them to enhance their visual, cognitive and basic learning skills. Age-appropriate learning, reading and visual materials are provided to help children learn different things around them.